Morgan loved older cut diamonds and when Randy started pointing out perfectly cut round diamonds and asking her what size she liked, she was not into it. “They’re too glittery and perfect.” She said to Randy. “Do want one of those rough ones?” He looked dubious. “Cool.” So Randy called me. And said, “what is the deal with older cuts, how are they different and why are they different?” I was reminded of when my son thought I knew everything and asked me a TON of questions. Ah, I miss that. This blog and these answers are for Randy. And all the Randy’s out there. In most cases, the passing of time and the evolution of technology changes the way things are created, and that includes the way diamonds are cut. In the past, diamond cutters used techniques to cut diamonds that are no longer used today. Time and technology have given diamond cutters the skills and resources that just weren’t available hundreds of years ago. 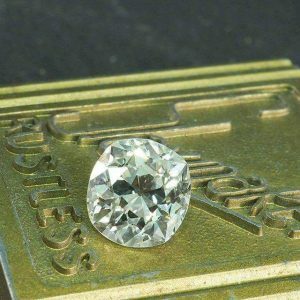 It is believed by many historians that diamond cutters began to cut diamonds by hand as far back as the 1300’s. Diamond cutting was a skill and trade that slowly evolved generation by generation and eventually, diamond cutters began creating diamond shapes and dimensions that reflected the era in which the stone was cut. Notice in the pictures of the round older cuts the little circle at the center. We call that the “window.” It’s a flat place on the bottom of the diamond. It was cut there so light could come in from below or so the diamond cutters believed. When modern light return studies were done it was discovered that the window was letting light drain away. All modern cuts close the bottom part, called the culet. 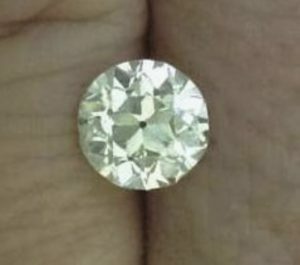 Older diamonds when described have an open culet, and modern cuts have a closed culet. Just a little history for you there. Diamonds that are cut by hand exhibit less fire and brilliance than diamonds that are cut today, but many people prefer the warmer, romantic glow that comes from a diamond cut by hand. In fact, antique and vintage diamonds are experiencing a renaissance. More brides-to-be are deciding to go with the old-fashioned romance of an antique or vintage diamond as their engagement diamond of choice. There’s something about that bygone era that we want to re-connect with. Several diamond shapes that are back by popular demand include Rose Cuts, Antique Cuts, Old European Cuts and Old Mine Cuts. Each one of these styles has a unique look all its own. 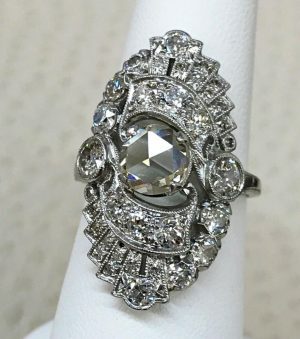 Once you begin to understand the difference in look between these historical by-hand cuts and the look of machine faceting of diamonds, it’s easy to fall in love with these delightful older and unique cuts. Diamonds of the past look warmer, in large part due to the fact that they were found prior to the whiter African Continent diamond finds. And the larger facets can add a warmer feel to them as well. The vintage rose cut diamond is experiencing more than a moment now. Thanks to sites such as Pinterest and posts on Facebook, you’ll see Rose Cut diamonds as the stone of choice to rock the center of the engagement ring for many modern brides. Rose Cut diamonds are not at all proportioned the way a modern cut diamond is. A Rose Cut diamond resembles a flat crystal, with facet patterns cut into the diamond in shapes that resemble a honeycomb. The part you don’t see is flat with the side facing up filled with facets. There are two forms of rose cut diamonds. 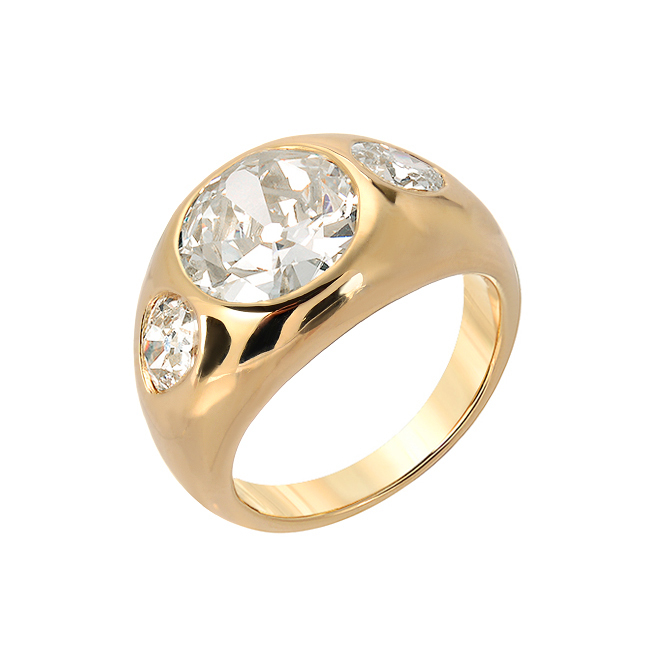 The single rose cut has a single layer of facets. The double rose cut has additional layers of faceting. The rose cut diamond style is about 500 years old and used to be the standard design for round-cut diamonds. It’s name was derived from its “blooming” appearance, because each facet resembled the petals of a rose. 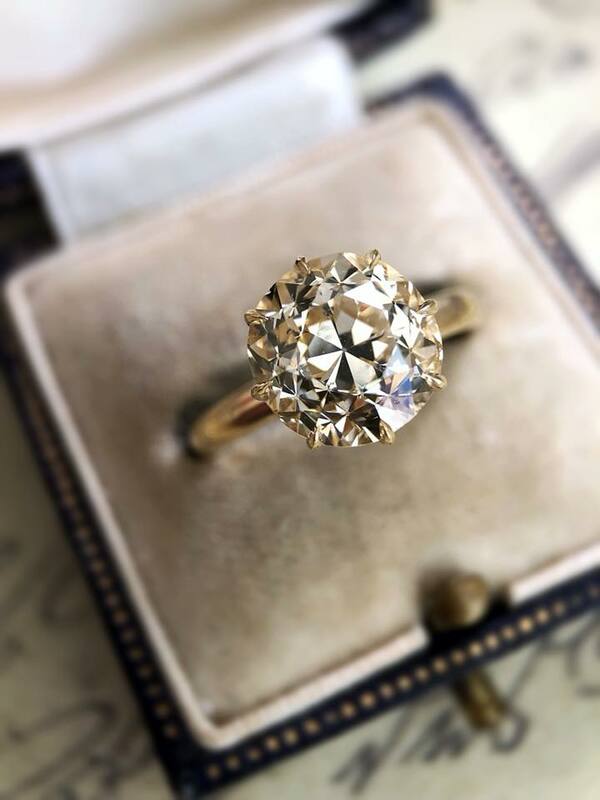 The term “Antique Cut” Diamond is often applied to a diamond that was cut by hand in a different shape or dimension than would typically have been used in the era it was cut. 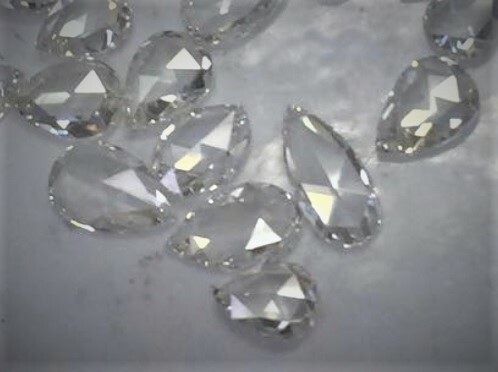 Remember, each piece of diamond rough is unique, and a diamond cutter needed to use his knowledge and skills to create the most beautiful diamond he believed would be able to be shaped from the rough diamond chunk he had to hand. The diamond to the left, though considered by modern standards to be ‘off color’ is warm and incredibly beautiful. Old Mine Cut diamonds date back to the 1830’s, and this is the diamond cut that is featured in many Georgian, Edwardian and Victorian styles of engagement rings. An old mine cut diamond has a high crown with a very small table. Its girdle is either somewhat rectangular or round, and it has a deep pavilion and a large, faceted culet. 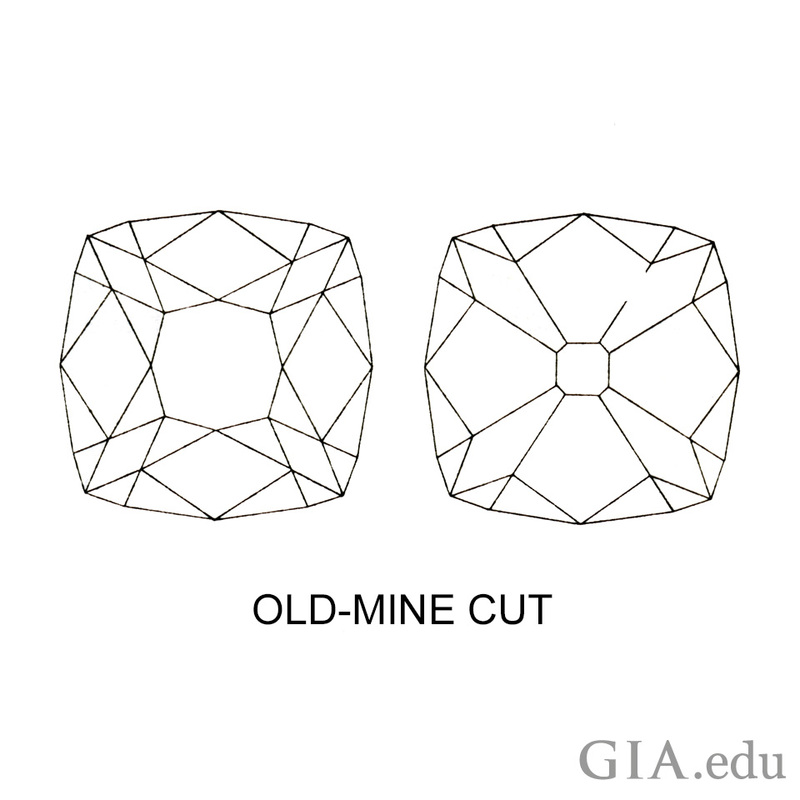 The most classic and common cut in the antique and vintage diamond cut families is the old European cut diamond. 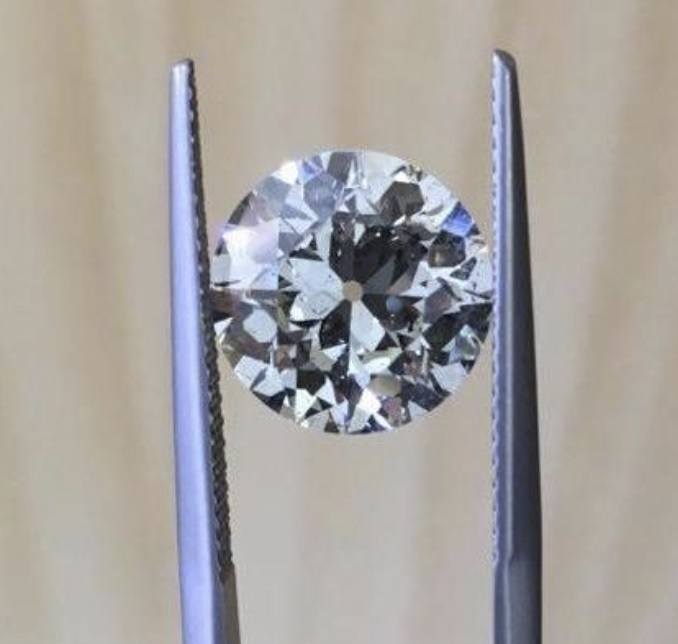 Until about ten years ago, it was common practice for jewelers who came across old European cut diamonds to have them recut into modern cuts because there wasn’t much interest in older cut diamonds. 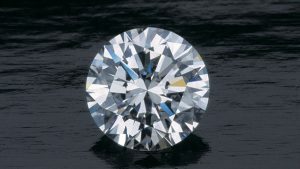 In addition, re-cutting an old European cut diamond into a more modern faceting technique would increase its value. 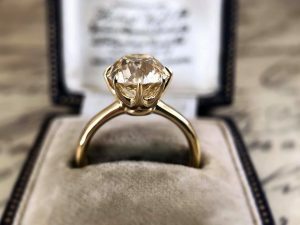 Due to the rising demand, many jewelers are salvaging old European cut diamonds and resetting them in vintage-era style mountings that have become a popular choice of brides-to-be today. 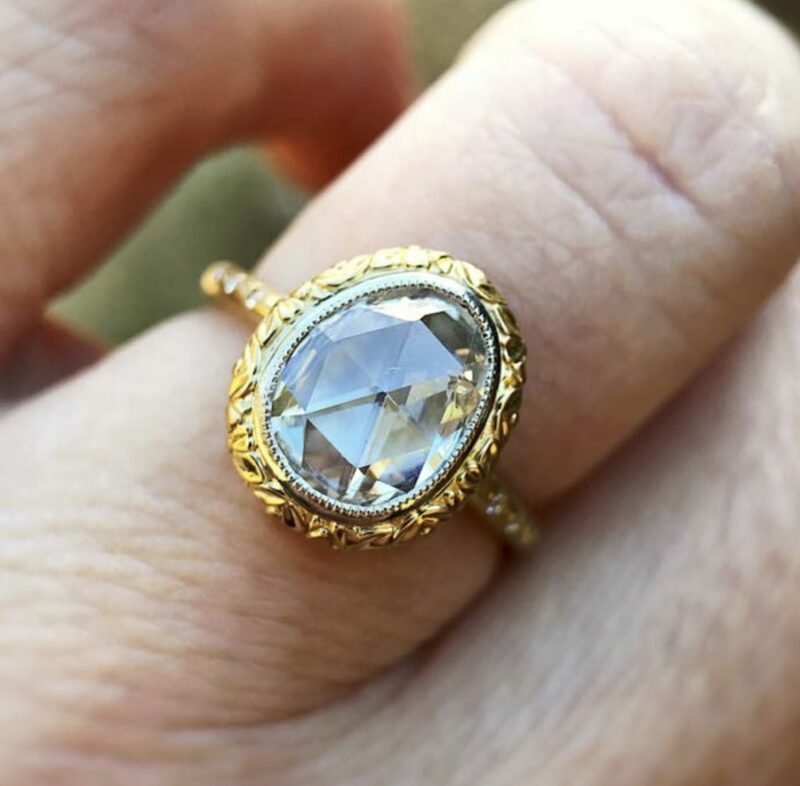 A jeweler friend named Emily Benoist Ruffin says this about discussing antique diamonds, “I refuse to discuss the “C’s.” It is there where prejudice from the brainwashing lies. I write these down randomly and ask clients (individually and without seeing each other’s responses til they are done) to rank them 1-5. What is not to love about her frank love of older cut diamonds? What About Randy and Morgan? 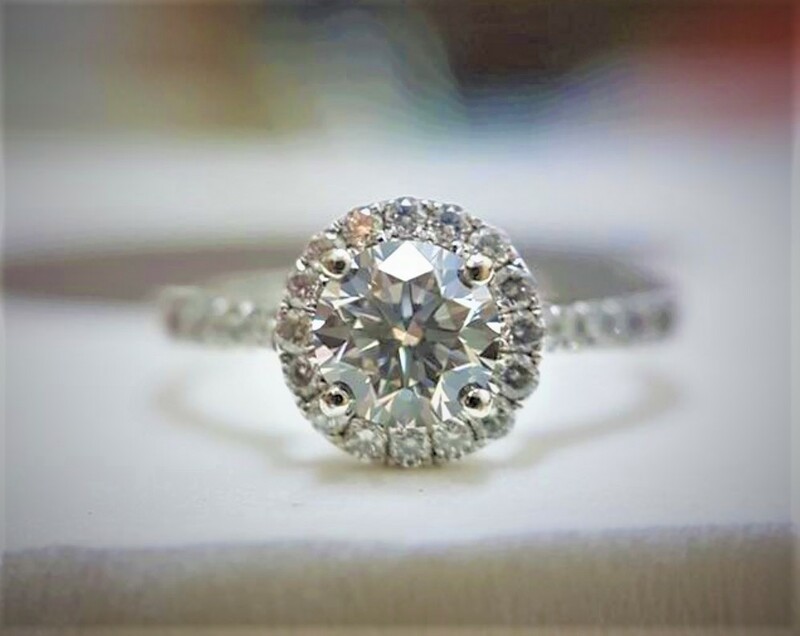 They picked an Old European cut with a small table and put it in a halo of tiny diamonds that matched in color and clarity. Morgan loved the way the small table stands up so high and focuses on the facets down inside her diamond. Randy was really geeking out on the different percentages of the diamond angles. I loved it! Wow. I had no idea how many different cuts of diamonds there were. Where can I find a triangle diamond? Or do they sell those? In a ring form? I want everything I wear or own to reflect how odd and different I am, so a triangle shaped diamond would be so much fun.